Luckily for InterNations Business Solutions and the HR Team, these two haven’t spontaneously decided to embark on a choral career. 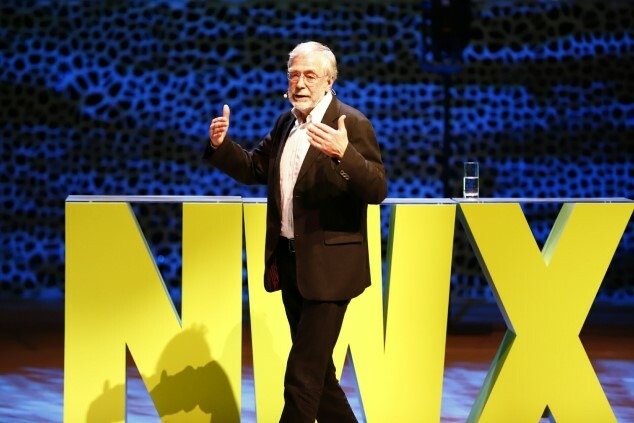 They’d rather joined the opening ceremony of the New Work Experience 2019 (NWX 2019 for short), where the customary welcome speech was replaced by an interactive musical interlude. 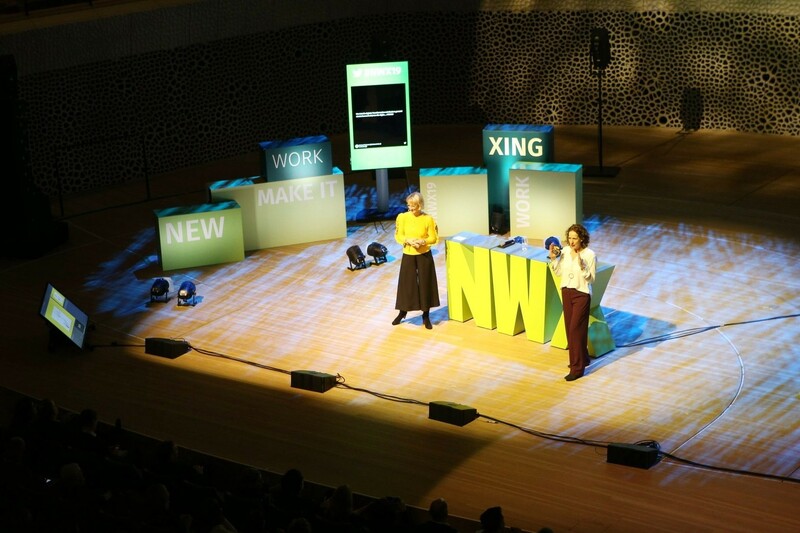 The New Work Experience is an annual conference dedicated to the future of work and hosted by our parent company XING, the business behind the German career networking site. Once again, the NWX organizers had managed to secure a spectacular location — which Christa describes as nothing less than “awe-inspiring” — and 40 high-profile speakers from business, politics, academia, and the media: the guest list included, for example, former German Foreign Minister Joschka Fischer, tech blogger and journalist Sascha Lobo, and Jutta Allmendinger, Professor of Educational Sociology and Labor Market Research at the Humboldt University of Berlin. Their aim: developing a vision of what the workplace of the future might look like. As the title of one lecture suggested, the concept of “new work” goes far beyond cramming a football table and a ball pit into a fancy office. This is the message spread by former McKinsey consultant Frédéric Laloux, author of the best-selling management book Reinventing Organizations. 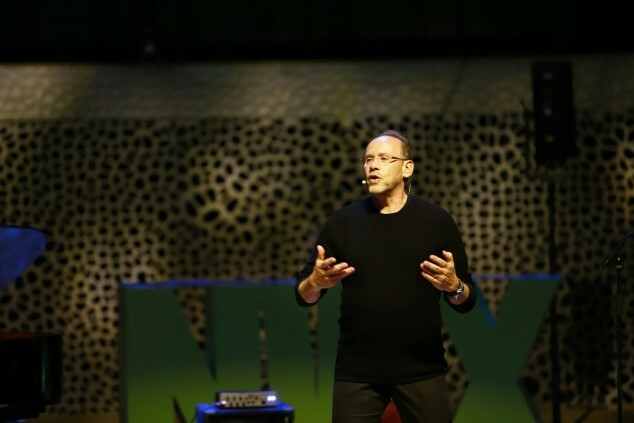 In his keynote speech and his master class, he revisited the central thesis from his work: A company, just like any other organization, is not a machine that can be designed based on a blueprint. It has to be regarded as, and treated like, a living, breathing organism. This means radically abolishing inflexible hierarchies and granting the rank and file far more freedom to realize their full potential. “Quite a few of the speakers took a similar approach to the topic of new work — ambitious, abstract, and high level,” Theresa thinks. This provided a great way for “NWX newbies” to familiarize themselves with the discussion and start thinking out of the corporate box. On the downside, this high level of abstraction sometimes ran the risk of failing to address the concrete challenges of how to make successful changes in the corporate world. Other guests, however, did focus on hands-on examples from their own professional experience, such as one of Theresa’s personal favorites, the CHAN Team. CHAN is short for Christiane Haasis and Angelica Nelissen, the Vice President(s) Refreshment DACH at multinational consumer goods company Unilever. The agile two-woman team presented the job-sharing model which their employer offers at any level of the corporate hierarchy, including in top management. After sharing their own leadership position for nearly a decade — each of the two vice presidents works 60% of a full-time job — they want to encourage more companies to adopt a similar structure, explaining how to become a well-coordinated team. As work-life balance is more important than ever, especially for dual career couples, the CHAN success story clearly resonated with the audience at NWX 2019. The other keynote speech was delivered by Gerald Hüther, a neurobiologist and outspoken advocate of education reform. Like Frédéric Laloux, he stressed the need to provide an environment — be it at school or at work — where everyone can make an active contribution and play a positive role, instead of being fenced in by existing structures, processes, and strict rules. Ricardo Semler would probably agree with this statement. The Brazilian businessman is a proponent of employee-friendly corporate democracy, radical transparency, and devolving powers. In his manufacturing company, Semco Partners, all employees set their own schedules and working hours; some can even increase their own salaries, and everyone has free access to confidential figures, such as annual turnover or profit. He also emphasized that new work means nothing less than revolutionary change: It’s not nearly enough to introduce a little bit of agile here and a dash of scrum there, or to paint the walls of your meeting room orange and call yourself a modern company. You rather have to keep questioning everything — all processes, structures, and decisions — and never stop asking why, or if, they are necessary. While InterNations is obviously not Semco Partners, she thinks that we are definitely heading in the right direction. “Our new Leadership Code puts a strong focus on empowerment and engagement,” on providing guidance instead of exercising control and on communicating a shared vision to motivate the team. “To me, our soon-to-be introduced ReFlex policy seems to be exactly what we need,” Christa says. Once the technical infrastructure is in place, InterNations is going to launch a three-month pilot project with much more freedom and flexibility for working remotely. 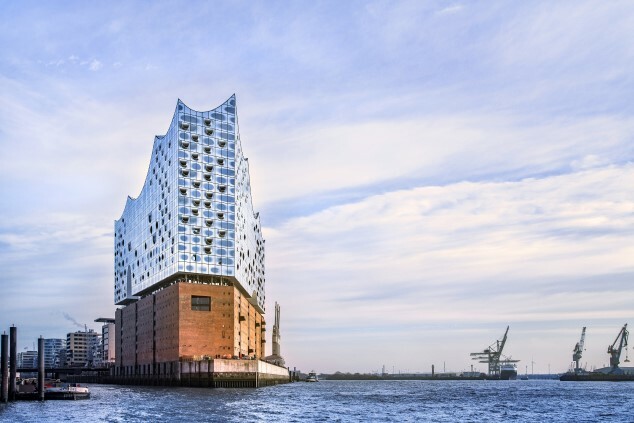 While it’s rather unlikely that Christa’s vision for InterNations will come to pass any time soon, it remains to be seen how our organization may have changed by the time NWX 2020 rolls around! And if you’d like to take a peek at this year’s highlights yourself, you can simply watch the official recap video!